The School of Education is pleased to offer ten fee-waiverstudentships for October 2013 entry to its Doctor of Education (EdD) programme. The studentships will pay half of the part-time University UK/EU tuition fees for five years. 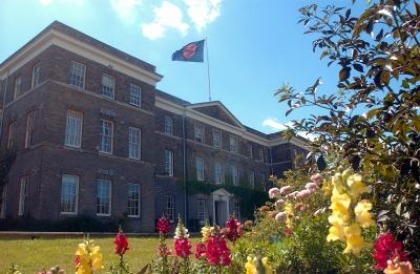 The School of Education has an excellent reputation for being at the forefront of educationresearch of national and international significance. The EdD is equivalent to a PhD and like the PhD allows holders to title themselves “doctor”. It is ideal for education professionals who wish to conduct research in their own professional context. Your findings can contribute substantially to the development of new techniques, ideas or approaches in your field. Applicants must have a first-class or high upper second-class honours degree (or equivalent qualification) in a relevant discipline and meet the University’s standard English language entry requirements. It is expected that applicants will also hold – or expect to hold by October 2013 – a Masters degree. It is desirable that applicants have three years’ professional experience in education. These studentships are open to suitable UK/EU and International (i.e., outside the EU) applicants. Please note though that the award covers tuition fees at the UK/EU rate only. International applicants (and those not eligible to pay UK/EU tuition fees) must demonstrate at the time of their application that they can fund the difference in tuition fee rates. The studentships are for part-time study only and applicants must be able to commence their studies in October 2013. The closing date for receipt of applications is 19 April 2013. Applications that do not include a full research proposal and the required supporting documents will not be considered.